The Rapid Discovery and Fabrication Laboratory and the Advanced Porous Materials Laboratory are the two new research facilities at RMIT University’s Melbourne City campus set to boost research and innovation in an array of areas that will benefit both industry and the community. The first will be focused on the development of a new technology that will detect toxins in water; the identification of non-toxic compounds that can protect metals from corrosion and the development of magnesium implants. The second one will be focused on the development of more efficient, smaller and longer lasting batteries; the development of better solar cells, as well as the development of better water purifiers that will be able to remove pollutants from water on a larger scale. “Our new labs will give us greater ability to quickly find industry-relevant solutions at a time when the need for energy efficient and high performing materials and advanced manufacturing is increasing exponentially,” said RMIT Deputy Vice-Chancellor Research and Innovation and Vice-President, Professor Calum Drummond, in a media release. 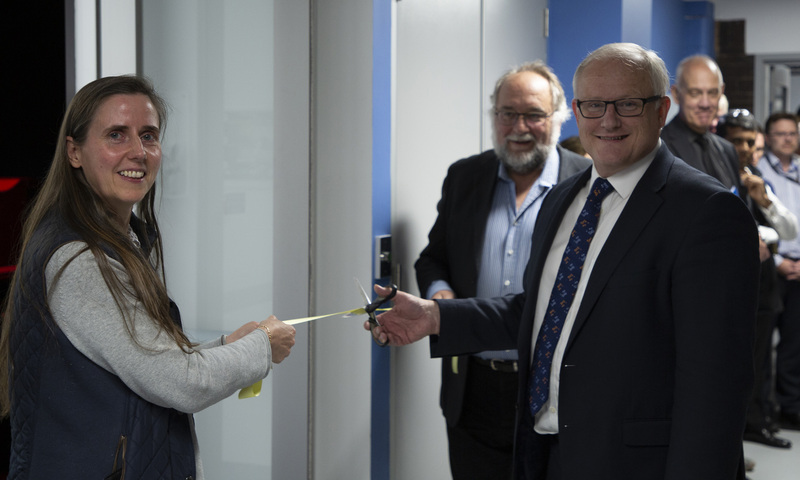 The Rapid Discovery and Fabrication Laboratory will be led by Professor Ivan Cole, Director of the Advanced Manufacturing and Fabrication Enabling Capability Platform. The Advanced Porous Materials Laboratory will be led by Professor Rachel Caruso, Director of the Advanced Materials Enabling Capability Platform.